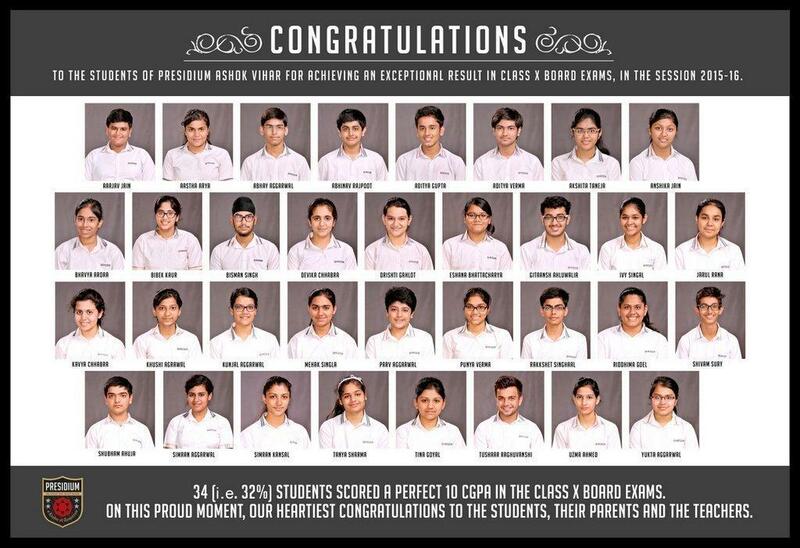 We are proud to announce that our young achievers of Grade 10, from Presidium, have scored outstanding results in Boards, for the academic session 2015-16. 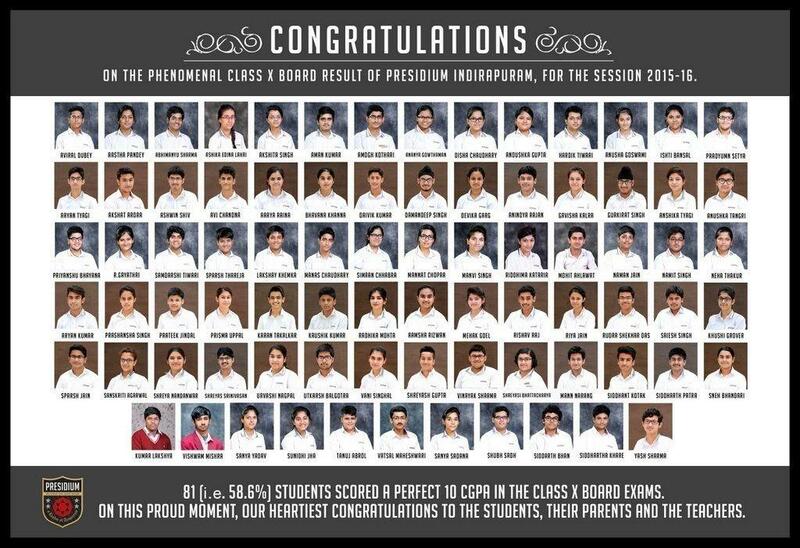 * From Ashok Vihar, 34 out of 106, i.e. 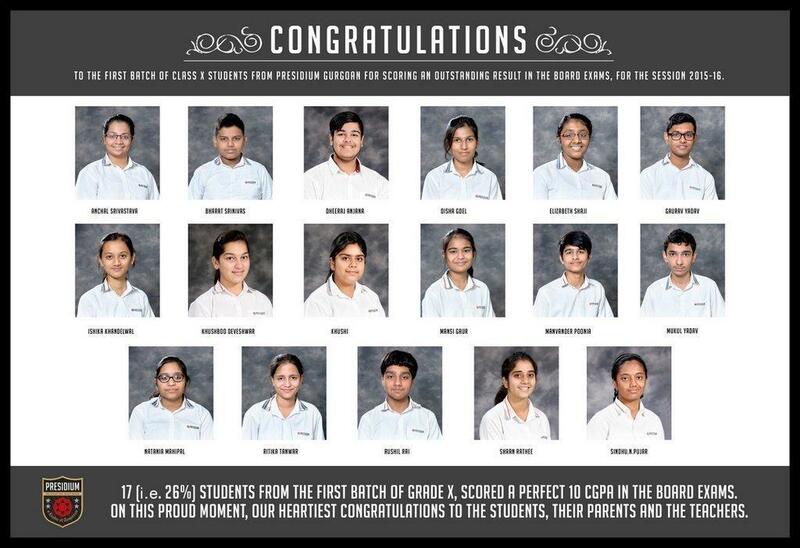 32% students have topped the boards with a CGPA of 10. * From Indirapuram, 81 out of 138, i.e. 59% students have topped the boards with a CGPA of 10. * From Gurgaon, 17 out of 66, i.e. 26% students have topped the boards with a CGPA of 10. Three cheers for our young geniuses. We are proud of you!